Welcome to Repeats – Notes and Rests – Part 15d of our mini-series on repeats as used in music notation. This article is also part of the Music Theory Section of the overall article series Scales in Music a Tonal System. As you are aware this is the third part of a mini-series of articles about repeats in music. With that in mind, it makes sense and it would be best to review Part 15a, Part 15b and Part 15c of the series to better understand the overall content of the entire series. We are also making an assumption that you are already versed in several of the basic music theory ideas either from your existing knowledge of from that gained by reviewing the entire series of articles in Scales in Music – a Tonal System. Either way this article does require some basic knowledge of music theory and the tools used in music notation. In this article we will be reviewing the symbols used to repeat measures, notes and rests. These tools assist the composer when creating repeatable pieces of music without having to write them out in full. As a reference point, they are sort of like what shorthand is to words. Performers learn these symbols as well and so the new symbols presented here are an important part of the symbolic language of music. We will be reviewing how to use specific symbols to instruct the performer to repeat the content, notes, rest, etc., in entire measures. Following that we will look at what changes can be made to note shapes which direct the performer to repeat them over and over again. Lastly we will review how certain symbols which represent musical rests can be used to duplicate the content of additional and adjacent measures. This document has quite a different focus than the first three articles in this mini-series on repeats. Rather than repeating sections and phrases of music we are repeating measures notes and rests. Sometimes a composer will elect to repeat an entire measure of music. In music notation there is a symbol that permits the composer to duplicate one measure of music using a specific symbol. That symbol is shown below. Description – The main feature is a slanted thick line placed on the fourth line (G) of the staff continuing to the second line (D) of the staff at a 45 degree angle. Placed in the second space (C) is a dot to the left of the thick line. Also, another dot is placed on the third space (A) of the staff to the right of the thick line. Function – This symbol instructs the performer to repeat the previous measure of music. That includes all marking associated to the measure being repeated. The appearance on a staff line of music is shown below. The first measure includes the four quarter notes. The second measure holds the repeat measure symbol. What the performer would play is shown in the next chart. Measure one is duplicated in measure two simply by using the repeat measure symbol. This saves a lot of time when otherwise you would be required to notate out both measures in full just like the two measures directly above. The repeat measure symbol acts like shorthand does when abbreviating long hand writing. It simply saves time. Repeating repeats – The unique thing about this measure repeat symbol is you can duplicate the symbol on any number of measures you so desire. Each set of four measures should have a number of the measure stating the number of measures involved. Here are two charts to show this concept. Now let’s take a look at what this idea looks like on a music staff extended out for the four measure repeat. The music in the first measure is repeated in each of the next three measures. The number four is made up of both the initial measure and three additional measures with the measure repeat symbol in them. The chart above shows an even longer view of how the measure repeat symbols are used. Notice that the number 4 is placed as is the number 8. Each number is inclusive of the original measure being duplicated. In this example the performer would play the music in measure one eight times n a row. I think the concept is fairly easy to understand and the charts help a lot. There is another way to duplicate measures in groups of two or four using a modified measure repeat symbol. Let us now explore that idea. It is possible and likely when writing for multiple instruments to be required to repeat several measures rather than only one measure. The first chart following in this presentation shows the symbol for repeating two measures. Description – First, let’s look at how the symbol has changed. It now has a double thick line as its main feature and it still uses the two dots as before. Above the staff is a large number 2. Also, take note of its placement. The symbol is placed in both measures where its middle is on the measure or barline. Both of the measures involved do not have any notation in them with the exception a portion of the two measure repeat symbol. The first and fourth measures have rests in them so all of the measures would be quiet. If the first measure had notes within the measure, the second and third measures would be identical repeats of the first measures music. The last measure would be quiet or responding to the whole rest. Let’s go one more time and review a four measure repeat symbol as shown in the next chart and described thereafter. Description – The symbol has changed quite a bit this time. It now has four thick and slanted lines as its main feature and it still uses the two dots placed as before. Above the staff is a large number 4. Also, take note of its placement. The symbol is placed in both measures where its middle is on the measure or barline. The four measures involved do not have any notation in them with the exception a portion of the four measure repeat symbol. The first and sixth measures have rests in them so all of the measures would be quiet. If the first measure had notes within the measure, the second, third, fourth and fifth measures would be identical repeats of the first measures music. The last measure would be quiet or responding to the whole rest. Overall the concept is rather easy. The symbols are all similar with minor adjustments to their shape depending upon what quantity of measures you need to duplicate. It’s a pretty neat idea and it certainly can save a lot of time especially in lengthy compositions where an instrument may be performed using a repeated motif. There are additional time saving methods for repeating notes in music notation. Your composition may call for the use of many sixteenth notes and writing all of them out could be quite the task. In order to shorten the time needed to write them out the symbols used to do this for you are also very easy to understand. What gets a little bit complicated is how to translate the symbol to what the symbol actually does. So let us now take a look at this idea, repeating notes. I was trying to figure out how to describe this next idea to you. The ability to color code notes on a musical staff makes it much easier to make the point on the concept of repeating notes in a graphical sense. First, the next chart shows four quarter notes on a G-Clef music staff. All of the notes are C-notes. 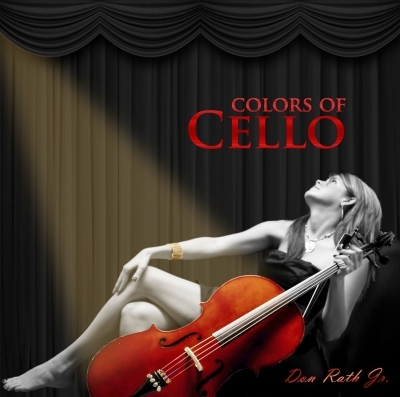 Each note is color coded and each note has a different symbol. Here is the chart. Descriptions – If you will notice the red quarter note. It has a single, heavy or thick, short line crossing on angel the stem of the note. The blue quarter note has two of them, the purple three and the green four of these thick short lines. Function – Remember, our idea was to repeat a note without having to write them out. The thick black line does this for us in the following manner. The thick line splits the notes value in half so a quarter note with a single thick line is actually performed as two eighth notes. By making only one small change to the quarter note symbol we have caused something else to occur during the performance of the notation other than what we have previously learned, performed as a quarter note. The idea I want to get across to you is that each “hash” mark cuts the value in half. As a consequence of that statement shows up when looking at the blue quarter note. Rather than paying a quarter note it would be performed as four sixteenth notes. The next series of charts lays this out pretty well. For example; in this first chart the red colored quarter note with the single hash mark is played as though notated in the next chart still shown in red colored notes. The color coding will help to keep this idea clear. Rather than write out sixty four 64th notes, all you need to do is write out the four quarter notes with four hash marks on each. How much time would that save you? Important – The performance technique we are demonstrating in this part of the article is called a Tremolo Technique. 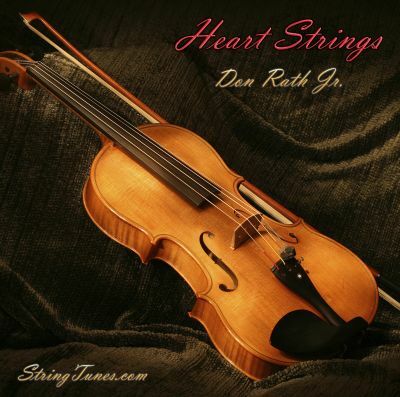 It is used quite often in orchestral works and specifically in the string section. Guitarists use this technique in the classical styles as well. We have reviewed repeating measures and note now we will take a look at repeating rests and their related symbols. Multi-Bar Rests – There are occasions when it is necessary to have an instrument rest for several bars or measures. 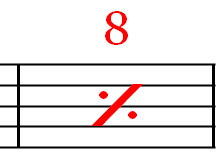 There are two charts showing multirests one for 6 measures and one for 10 measures. The idea is that one measure can be used to notate several as is shown below. Description – To instruct the performer to rest for a total of 6 consecutive bars of music you would use the above symbol to accomplish this task. The main feature is what is called an H-Bar. It is comprised of a long thick and black line with a shorter and thinner vertical line on each end. Above the staff is the number of measures the instrument is to be silent. This can be any number of measures as is needed per instrument. In this way it offers up some additional options when notating rests for multiple measures. Rather than writing out six measures the composer only needs to write out one and place the number above the H-Bar. Here is another example showing a 10 Bar Multirest. As you can see the shape of the symbol remains constant the only difference is the number placed above the staff. In this case the performer would silence their instrument for a total of 10 bars or measures of music. That’s pretty much it as far as repeating rests. It is a rather simple thing to do and it like the time saving approach to repeating notes and measures can permit a faster turn a round time when under a deadline for manuscript submissions for example. Whew! You made it! Congratulations on completing this mini-series of articles about repeats as used in music notation and music creation. The various tools for repeating, notes, rests, measures, endings, music sections and entire pieces is a fairly large study within music theory. This mini-series has addressed a lot of the ideas and concepts as well as the markings and symbols used to affect repeating of all of these music components. It is our hope that you have found value in our presentation and that you have learned enough to support your creative music notation efforts. Please refer back to this site should you need a refresher course. This concludes Repeats – Notes and Rests – Music Theory – Part 15d. 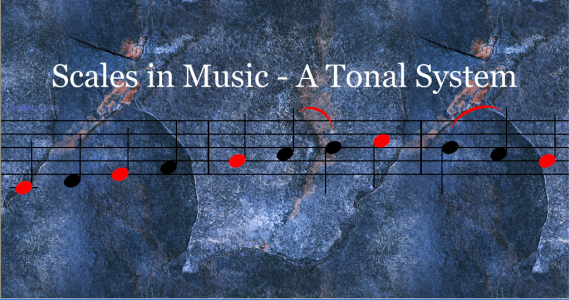 Now that we have completed this mini-series of articles on repeats we will be returning to the music theory sequence of articles within the overall presentation of Scales in Music – A Tonal System. The next article in the music theory section is called Brackets and Braces – Music Theory – Part 16. We will be reviewing brackets and braces for both on staff and off staff use of them. After this longer mini-series, a break seems in order. However, that is not to say that brackets and braces are not important. They are and their use and descriptions are pretty easy to learn. Thank you for your tenacity and making through the mini-series Repeats – Music Theory Level 1 – Parts a,b,c and d.
Please proceed to Bracket and Braces – Music Theory – Part 16. 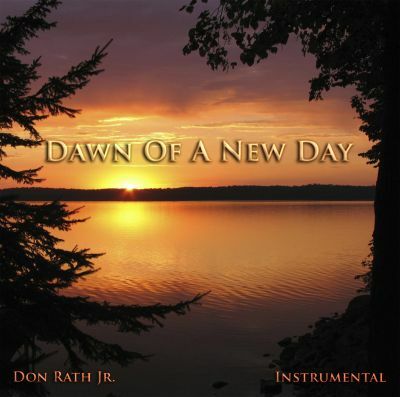 Note: All graphics were produced using Sibelius Music Software by Avid Technologies.